The music performance library is the heart of any musical ensemble, supplying music to performers and information to an entire organization. 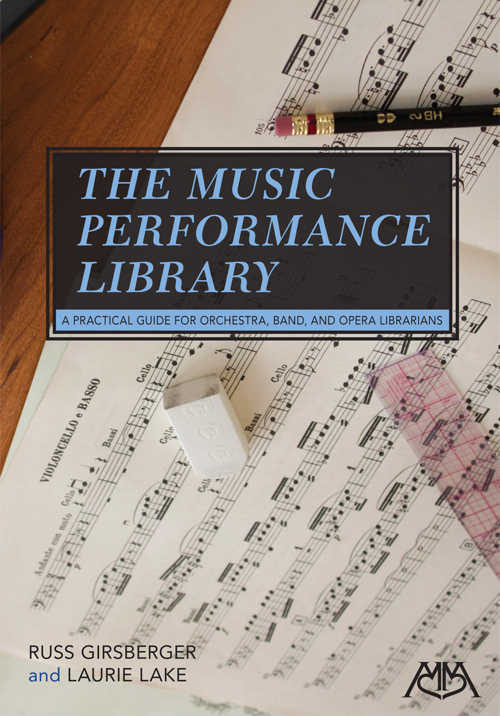 This text contains valuable information on this important topic for all musicians, including music directors, conductors, student librarians, community volunteers, professional performance librarians, and performers. This essential resource provides step-by-step directions on the librarian's responsibilities, including how to: locate and choose editions • purchase and rent music • catalog new works • store and preserve music • prepare music for performance • mark bowings • correct errata • prepare manuscripts and programs • distribute and collect parts • and communicate efficiently.